Affordable living in Spearfish. 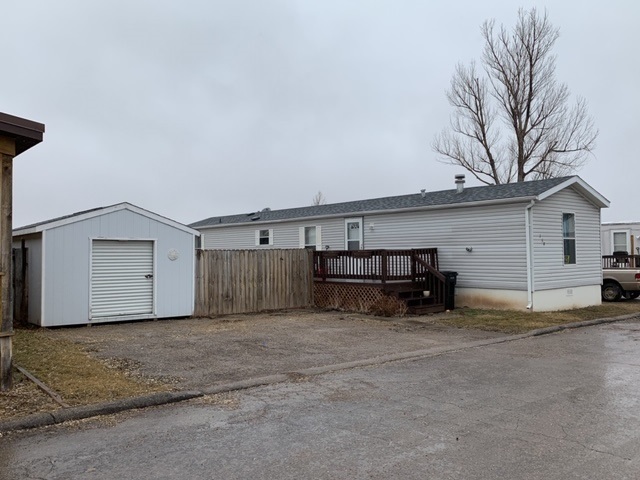 Come take a look at this 1997 14X72 mobile home on a rented lot. It is super clean, has fresh paint, nearly new appliances, a large 12X15 storage shed and a nice fenced yard with a garden area. Dogs are allowed upon approval of the court owner. Call or Text Listing Agent - Polly Garrett - The Real Estate Center of Spearfish - 605-645-2331 for more information. Buyer is responsible for verifying all information on this MLS document.